If you fall ill, become disabled or you are unable to work due to accident this can create two financial problems. 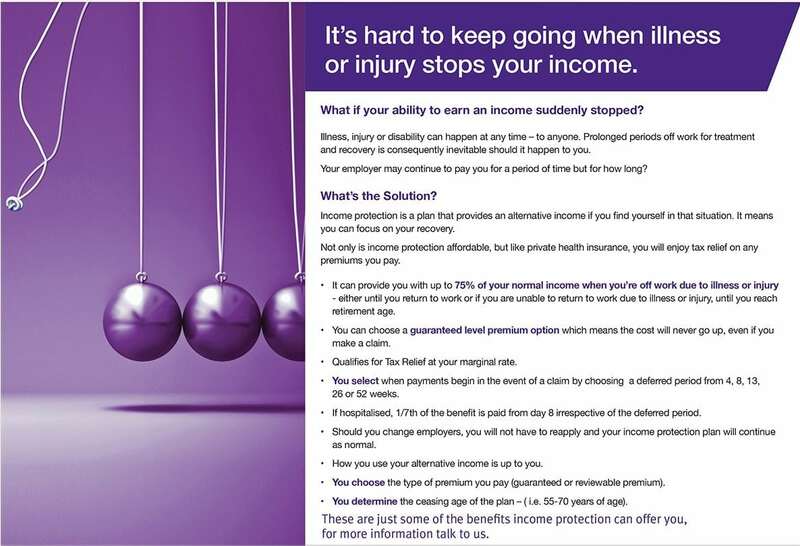 Income Protection helps protect your salary and reduces the financial burden on your family / business. It pays out a regular cash payment that replaces part of your lost income if you are incapacitated due to medium or long term illness or disability. You will be paid until you return to work or until your retirement date if you are deemed unfit to return to work before then. If the unexpected happens, be satisfied that you have a policy you can trust. At Gateway we can identify the most competitive Income Protection Plan providing the cover most appropriate to your circumstances.